In today's post we are sharing very pretty and traditional Candle Holder, where you can reuse-recycle and don't need to buy any extra stuff. 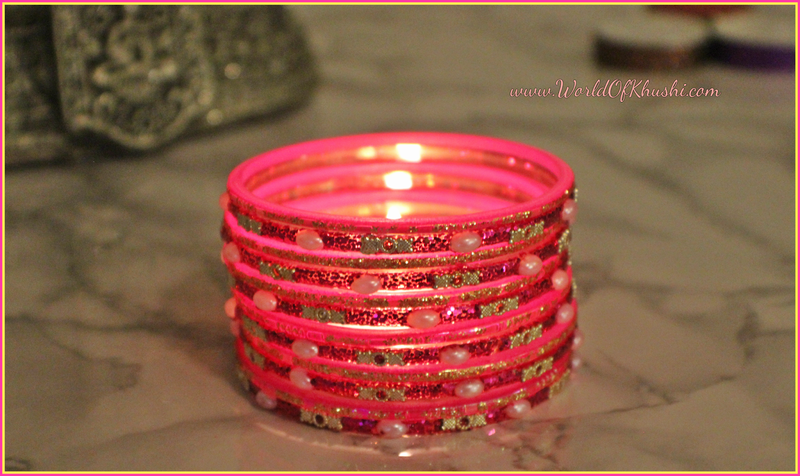 We are making Bangles Candle Holder!! It looks very colorful, you can use any color of your choice or even mix and match the colors. Step 1. Place one bangle and apply one-one drop of Glue as we want to stick another bangle on top of it. Step 2. Now place the other bangle on top of it and again apply Glue on top of its side. Step 3. Now again stick the bangle on top of it. Step 4. Repeat the same process till you get your desired length. Step 5. Once everything dries out then use this as a Candle Holder. Step 6. Place Tea-light candles inside the holder or use LED Candles. 1. You can choose any color bangles. If you are making with different colors then stick them alternately for a beautiful look. 2. 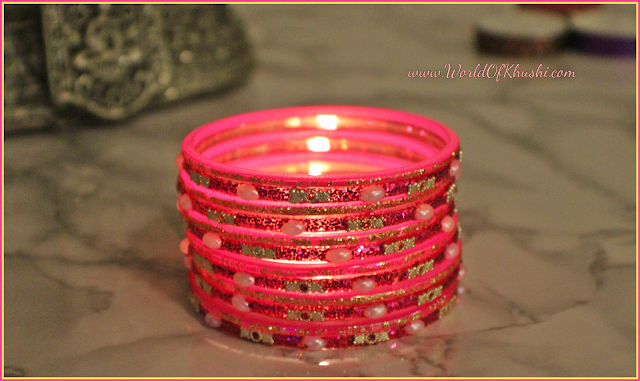 Never use Hot Glue Gun on Glass Bangles, it will break your Bangles. 3. 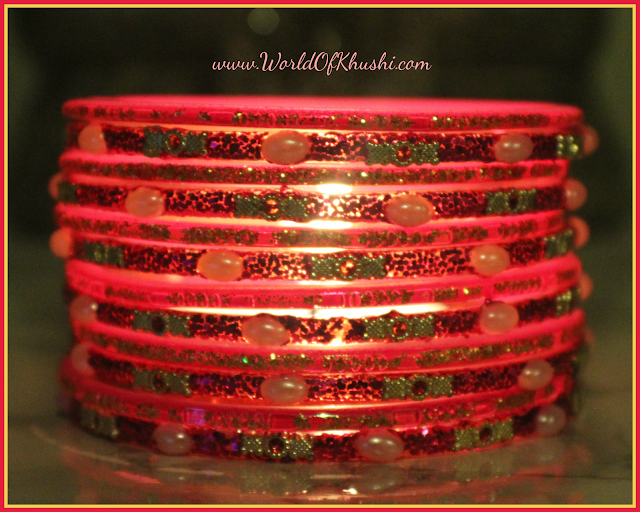 You can choose from 6 to 16 bangles, depends on how much length you want. 4. If you are using Kadas or any expensive bangles and want to use as a bangles too, then don't use Glue. Only place like Candle Holder, you can even use LED Candles. I hope you like this DIY and you people are enjoying our Diwali Series. If you try this DIY then please send your pictures to us. For more such easy DIYs stay tuned with Khushi's World. If you like this Post then don't forget to like and share the Post. Thanks for sharing this best stuff with us! Keep sharing! 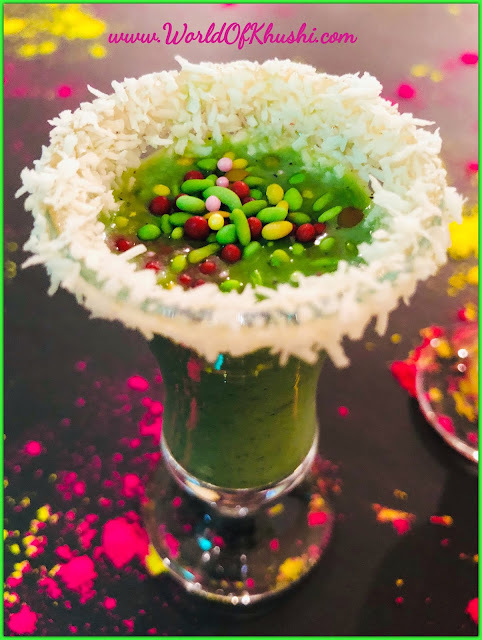 I am new in the blog writing.All types blogs and posts are not helpful for the readers.I do not have to know how to write essays with good content.I am searching for getting new tips and guidelines to make my essays good.